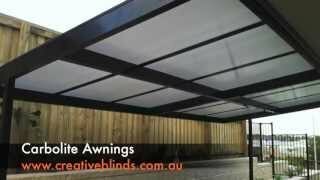 Carbolite Awnings are a stylish alternative for people seeking all important protection from the elements without compromising on light transmission. 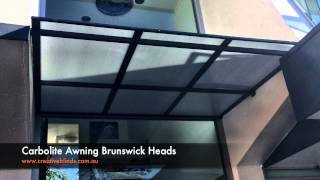 Carbolite Awnings are suitable for use over both windows and doorways, and are particularly useful in areas that receive limited natural light. 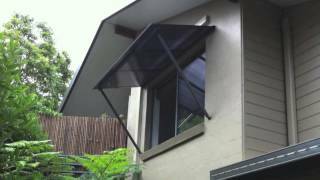 Carbolite Awnings are made from 8mm twin walled polycarbonate material, supported by a sturdy 38 x 25mm arm. 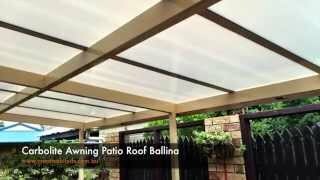 Polycarbonate is a unique, lightweight material, which is 200 times tougher than glass. 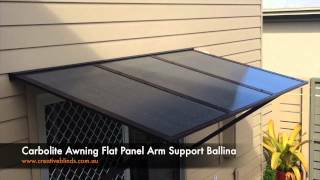 It has the ability to filter 99.9 per cent of UV rays, and also boasts impressive heat reducing qualities, making it a popular choice amongst our customers. Starting from $900 – Depending on range, accessory options and control options. Based on size 1500mm x 1200mm. 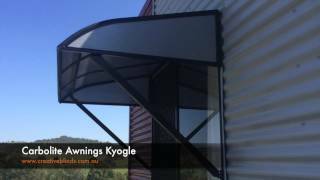 Our Carbolite Awning collection comes in a variety of shapes, such as flat, bullnose and dome shapes. 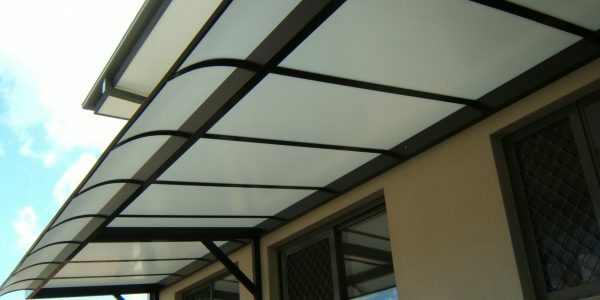 The polycarbonate sheet also comes in a choice of Clear, Grey, Solar Metal, Bronze, Solar Ice. The aluminium frame comes in 4 standard colours White, Cream (Primrose) Black Satin and Bronze anodised and additional powder coating options are also available.